I hope you all had a lovely summer! We had a big, exciting and busy summer here. We learned that we are expecting baby #5 and decided our house is just to small to accommodate our growing family. And yes it's another boy! Looks like that's what we know how to raise best. I'll get to sew up all the fun things I never got around to sewing for my last 3 boys :) Hooray! Anyhow, we spent a month purging stuff, touching up paint, and updating a few things so we could put our house up for sale. Combine that with the usual squeezing in summer fun and vacations it made for one BUSY summer! Sadly I had to pack away most of my sewing supplies. Off to the storage unit they went. I kept my sewing machine and a little fabric just in case. I did get to do some summer sewing while getting our house ready. 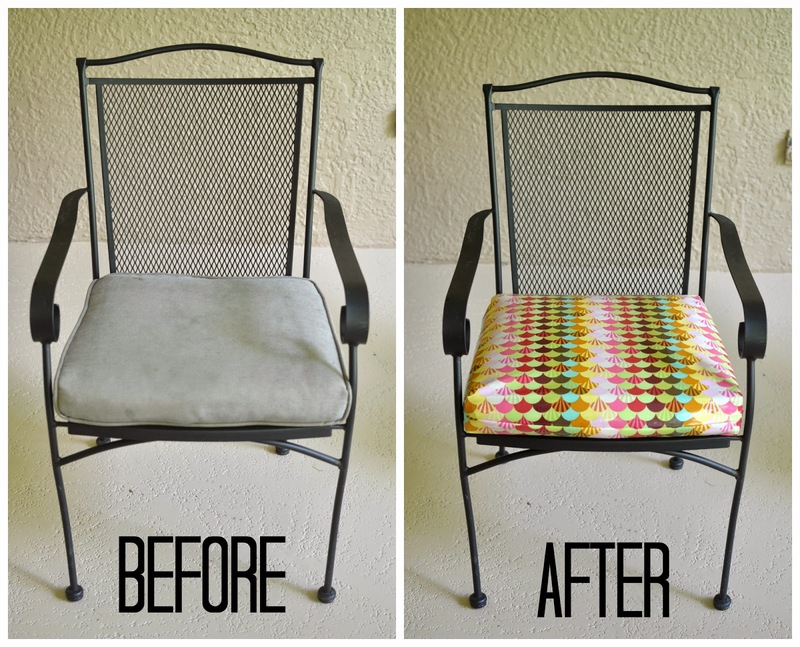 First off, I made new patio cushion slipcovers for the dingy chairs on my back porch. We added a cute little table and plant and the back porch was ready. My realtor said she liked all my crafty decorations so we left most of them in place instead of redoing everything. I did have to make a bunch of new pillows for the couches. She said to go turquoise to match my little Pier One chair. I pulled out all my turquoise Anna Maria Horner Drawing room fabric and went a little crazy with it. One of my favorites is this rosette pillow. It would look cuter with a better pillow form though. I must admit, I was in such a hurry that I ended up hot-gluing all the flowers on instead of sewing them. I've already had to re-glue 5 or 6 of them. But it's still my favorite. Never thought about covering my ceiling fan blades, but that really does at a nice pop of color.